You or a guest dropped a bottle of Coca-Cola on your wood floor, and now, the floor feels sticky no matter how much you try to clean it. Soda is very sugary, and even if the floor looks clean, sticky sugar deposits tend to remain. Cleaning wood floors with too much water can damage the floor, so to remove soda stains, you need to use as little water as possible. A simple solution works well to remove any sticky residue left by spilled Coca-Cola. Basic cleaning supplies handle sticky soda messes. Pour warm water into a bucket. Dilute the floor cleaner in the water according to the directions on the bottle. If you do not have floor cleaner, use a few drops of dish soap instead. Dip a squeeze mop into the cleaning solution. Squeeze out the excess moisture. Mop the area where the soda spilled. If desired, rinse out the mop and clean the floor again. Discard the dirty water and add fresh water to the bucket. Wet the mop. Rinse the floor with the wet mop to remove most of the stickiness. Pour 1/2 cup of ammonia into a bucket filled with clean water. Apply the ammonia solution to the floor with the mop. Pour out the ammonia solution. Fill the bucket with water again. Mix in 1 cup of vinegar. Mop the floor with the vinegar mixture. Dry the floor quickly with towels or a fan set on high. 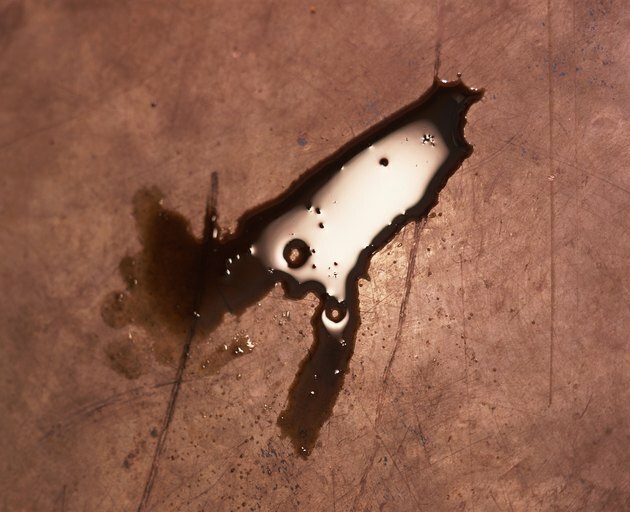 Water left on some wood floors can cause permanent damage, so you must dry the floor as soon as possible.